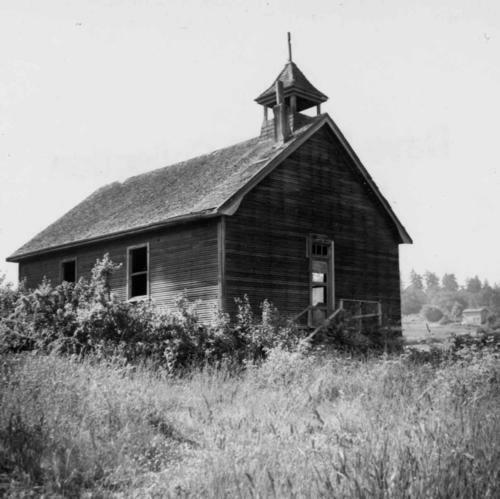 Photograph depicts a church or school on the south side of Craigflower Rd. in Victoria B.C. It is near or on the Songhees Reserve.